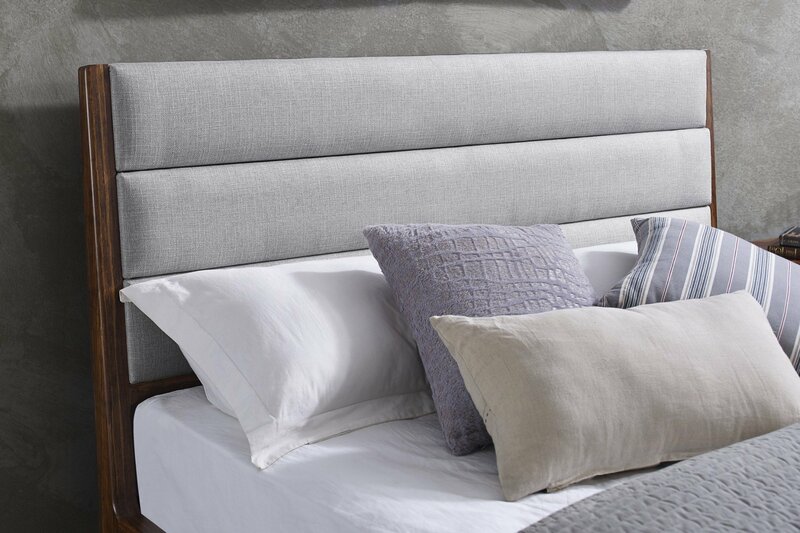 The Mercury Bedroom Collection makes sustainability a glamorous affair with its Mid-Century design and luxuriously upholstered headboard. 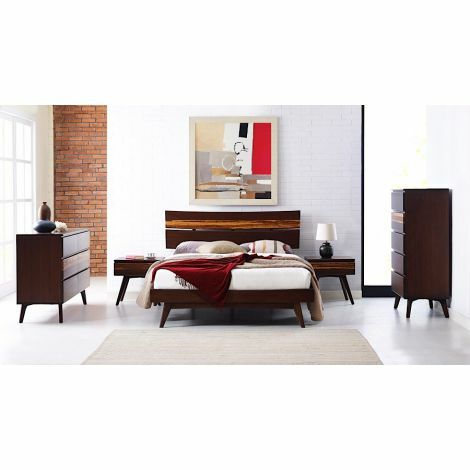 Sleep elegantly on Haiku's Mercury Platform Bed and complete the set with the Mercury Nightstand, Three Drawer Chest, and Two Door Chest. 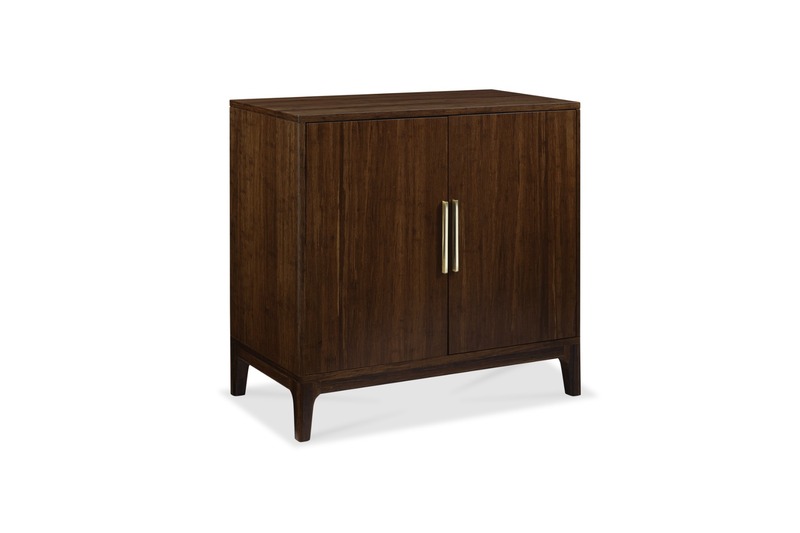 Haiku’s Mercury Bedroom Collection, by Greenington, is not simply furniture: it is a conscious decision to exist elegantly and harmoniously with nature. 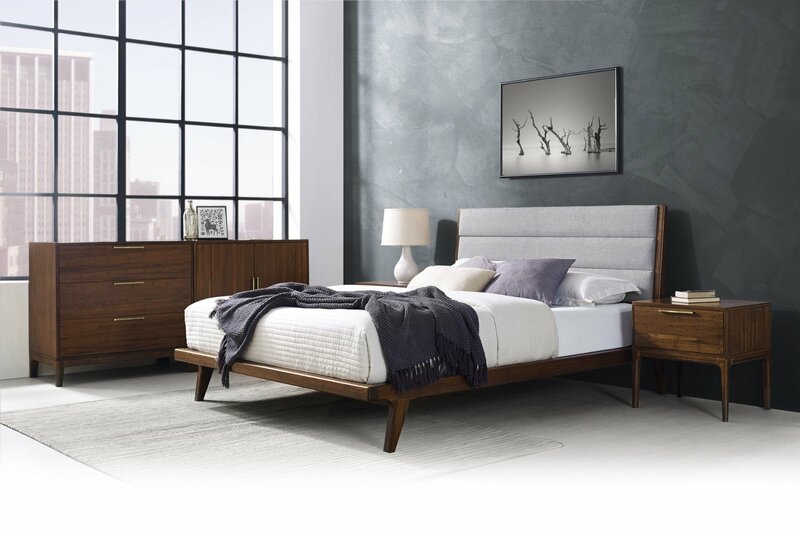 Framed in Exotic Bamboo, the Mercury Platform Bed’s upholstered headboard in soft woven fabric that brings a sense of refined luxury to the bedroom. 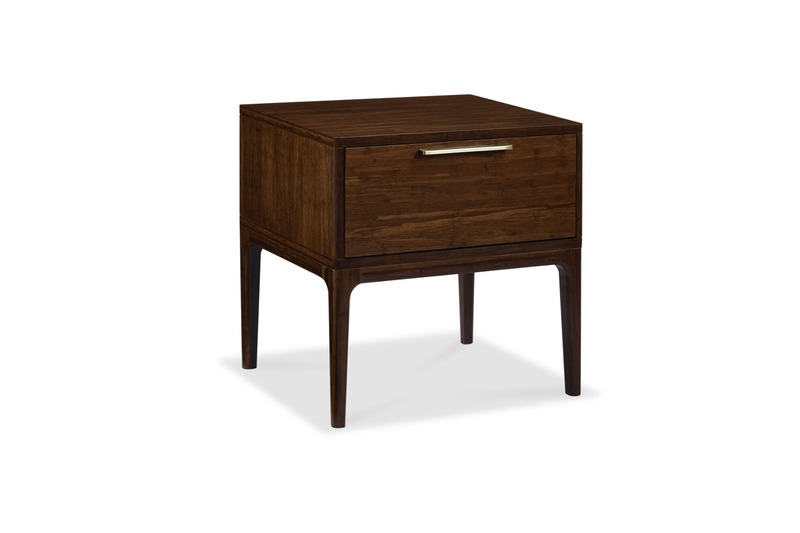 The Mercury Nightstand, Three Drawer Chest, and Two Door Chest complete the set balancing out the room while providing generous storage in an exquisite package. 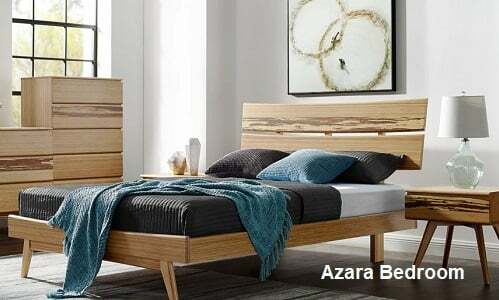 This uniquely beautiful Bedroom Collection brings the simple elegance of Mid-Century design into the modern home with the character, strength and beauty of the tropical hardwood that is Exotic Moso Bamboo. The Mercury Bedroom Collection is made entirely of Exotic Bamboo, a grass that reaches maturity in 5 years or less and releases nearly 35 percent more oxygen back into the atmosphere than equivalent stands of trees, making it easy for you promote sustainability is a lovely, classic and functional way in your home. 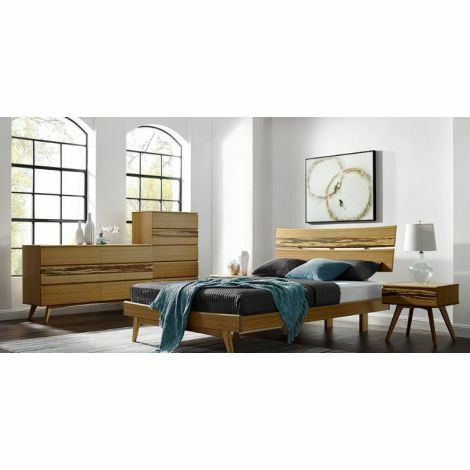 The Mercury Platform Bed’s features include wrap around solid bamboo side rails and footboard with modern angled legs. 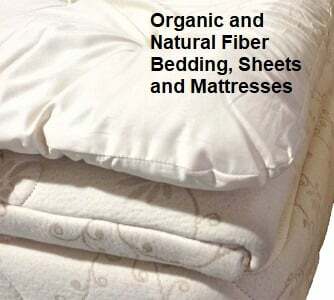 Designed to be used with a mattress only, the Mercury features a solid bamboo European slat system, eliminates the need for a box spring, and provides constant ventilation for your mattress reducing allergens and dust mites. The Mercury Platform Bed is available in your choice of Queen, King, and California King sizes. The Mercury Nightstand and Three Drawer Dresser feature five-sided drawer boxes with English dovetail, a sleek steel drawer pull, and soft closing - under mount drawer glides, while the Mercury Two Door Chest features sleek steel pulls and two adjustable shelves.